2pcs×Table Soccer Handle. Quantity: 2pcs. Material: PVC. Due to the difference between different monitors, the picture may not reflect the actual color of the item. Color: Black. Bright Animated Motion Running N.
Ot really used sow buy it and u can put it anywhere u want. Based on the Single-Goalie ITSF - Certified Tornado Practice Table. Tornado T-3000 Foosball Table - Single Goalie. Professional grade performance just got better. Color-keyed, super high grip, interchangeable handle system exclusive to Tornado. Tornado Sport Foosball Table. The Tornado Sport is the perfect table for both starters and the more experienced player. Coin Operated?. : Free Play Only. (They may place it in your garage, but are not required to do so.). Will work in every foosball table that requires a regulation size ball. 1 Dozen TORNADO Foosballs. We have been a Factory direct dealer for over 20 years. 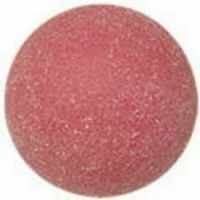 These balls are a Genuine Valley/Tornado product. 26 Tornado Set Foosball Men 13 Black + 13 Yellow Genuine OEM Player Parts. We have been a Factory direct dealer for over 25 years. This is a Genuine Valley/Tornado product. 5 out of 5 stars - 26 Tornado Set Foosball Men 13 Black + 13 Yellow Genuine OEM Player Parts. 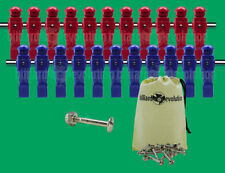 2 product ratings2 product ratings - 26 Tornado Set Foosball Men 13 Black + 13 Yellow Genuine OEM Player Parts. 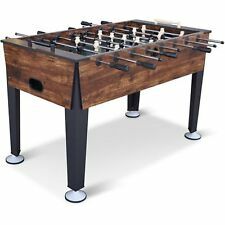 Tornado T-3000 Black Foosball Table (Three Goalie)-Open Box. Professional grade performance just got better. This is a Three-Goalie table based on the Single-Goalie ITSF - Certified Tornado Practice Table. Tornado T-3000 Coin Foosball Table - 3 Goalies. Based on the Single-Goalie ITSF - Certified Tornado Practice Table this table has 3 goalies. Tornado Platinum Tour Edition. Color-keyed, super high grip, interchangeable handle system exclusive to Tornado. Tornado T-3000 Foosball Table - 3 Goalies. Professional grade performance just got better. This is a Three-Goalie table based on the Single-Goalie ITSF - Certified Tornado Practice Table. Color-keyed, super high grip, interchangeable handle system exclusive to Tornado. Will work in every foosball table that requires a regulation size ball. 3 TORNADO Foosballs. We have been a Factory direct dealer for over 20 years. 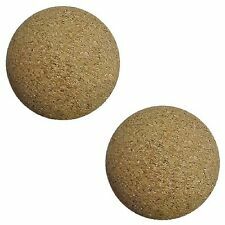 These balls are a Genuine Valley/Tornado product. 5 out of 5 stars - 3 TORNADO Tournament Red Foosball foos ball Genuine Balls (OEM parts). 19 product ratings19 product ratings - 3 TORNADO Tournament Red Foosball foos ball Genuine Balls (OEM parts). 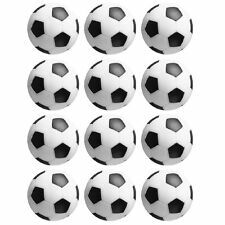 16 Bearings (32 halves) for Tornado Foosball Table Foos Ball OEM Bushing Part. We have been a Factory direct dealer for over 20 years. This is a Genuine Valley/Tornado product. 4 out of 5 stars - 16 Bearings (32 halves) for Tornado Foosball Table Foos Ball OEM Bushing Part. 1 product rating1 product ratings - 16 Bearings (32 halves) for Tornado Foosball Table Foos Ball OEM Bushing Part. 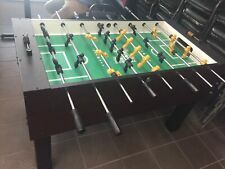 Vintage Sportcraft Foosball Table, Arcofalc Milano, Made in Italy. Has all the players, all original and in working condition. Has legs and stands. Only missing one handle. Ohio State Buckeyes Foosball Table. Assembly required. There are no exposed fasteners, keeping this table slick and stylish. Players made with automotive grade ABS material. One year limited warranty. The nut and bolt used to attach each foosball man to a foosball rod are not included. Professional grade performance just got better. Tornado T-3000 Black Foosball Table (Single Goalie). One Goalie. Color-keyed, super high grip, interchangeable handle system exclusive to Tornado. Split cabinet design with full-access top. This is a Three-Goalie table based on the Single-Goalie ITSF - Certified Tornado Practice Table. Tornado T-3000 Red Foosball Table (Three Goalie). Professional grade performance just got better. Color-keyed, super high grip, interchangeable handle system exclusive to Tornado. Set of 16 Foosball Rubber rod bumpers. 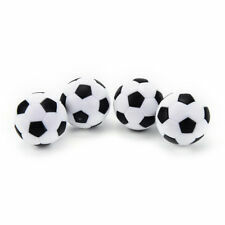 Table Soccer buffers. Verbere rubber for the ultimate response. Foosball table with players and 1 mini soccer ball. 40mm Casting Fishing Rod Sleeve Pole Rod Cover Jacket Socks Guide Protector KI. Face Body Foot Muscle Gua Sha Scraping Tool Guasha Massage Board Scraper KI. 10 Bottle Essential Oil Organizer Holder Travel Nail Polish Case Storage Bag KI. Tornado Classic Foosball Table. The Classic table combines a contemporary look with heavy duty down corner construction. ¾” laminate playfield with 3-color Tornado logo. Black Leather laminate finish on a 1 ½” thick cabinet. Dynamo Blaster Foosball Table. (They may place it in your garage, but are not required to do so.). We have answers! We have many partners who would be happy to install and setup your machine if you would rather not do so yourself. Tornado Elite Foosball Table. 3/4" laminate playfield with 3-color Tornado logo. Victorian Cherry laminate finish on a 1 1/2" thick cabinet. We have answers! We have many partners who would be happy to install and setup your machine if you would rather not do so yourself. Dreaming to be a football star?. Maybe this tabletop mini soccer toy can help your kids chasing it with no fear of too young to play. -Parent-child interaction. Double person playing model, kids will enjoy such football playing with family and friends. Available with angled corner top for single goalie or flat corner top for three goalie operation. (They may place it in your garage, but are not required to do so.). Bold contemporary graphics with designer Formica for player appeal. With this Set, you could play football anywhere no need to go to the playground. 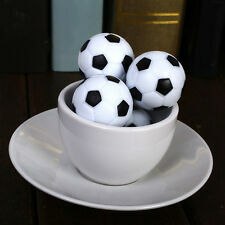 Great for football lovers or friends gift. Folding design: Save your storage place. This will cause delay to your warranty claim. Suitable table board thickness: 36mm(1.4"). Table Football Bearing x 2. If you have any problems, we are very glad to help you. The ultimate accessory for the ultimate fan cave! High quality construction with fast, smooth action spindles and exciting, colorful graphics. These tables provide the best there is in foosball action. Minigols Barcelona foosball set. Never been opened. Limited edition. Suitable table board thickness: 36mm(1.4"). Table Football Bearing x 2. Shown in Chardonnay. Available in Navajo and Chardonnay finishes. There are no exposed fasteners, keeping this table slick and stylish. Assembly required. Players made with automotive grade ABS material. Foosball is a table-top game that closely resembles soccer. The table incorporates equipment such as men, balls, and the foosball table bearings. These may have to be replaced, so it is important to learn about the equipment before you start shopping. What equipment and parts are used? The men- The figures used to play the game can break and will have to be replaced. You can buy a whole set or a single player. Foosball table rods- The foosball table rods have a significant effect on your speed and performance. They should always be hollow and light. The best foosball tables are made with chrome rods to provide superior ball control. Foosball table bearings- These are the parts where the rods go through. Your foosball table should have quality bearings to reduce friction when pushing the rods through the table. Balls- The balls you purchase will affect your playing style. You should search for balls that are easy to control. Foosball table bumpers- These are meant to prevent the players from reaching the edge of the foosball table. The best table bumpers are made of rubber and are typically black. Foosball table legs- The table needs to have sturdy legs. Otherwise, it will be shaky when the game gets intense. You can also find a table with adjustable legs so that you can stabilize it on uneven grounds. How do you buy the men? 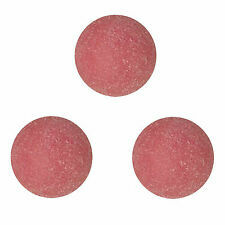 The toes- The players toes should have a cross-hatching grip design. This pattern helps you control the ball better. The design is especially important if you intend to use the foosball table for expert-level games. Counter-balanced foosball players- The players should have equal weight on the head and toe. This construction allows the men to balance horizontally instead of rotating and stopping at a vertical position. This feature also increases the force in your shots. 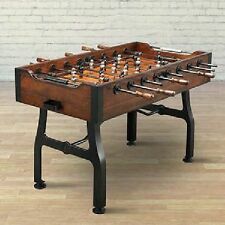 What types of foosball tables are available? Stand-alone foosball table- These tables are usually made of high-quality wood and are typically very heavy. The table-top is attached to the legs. With this design, the table cannot be moved frequently. Expert players commonly use stand-alone foosball tables. Table-top- These foosball tables are very light and are meant to be carried around. They are also a lot smaller than stand-alone foosball tables. You can place these table-tops on any surface. Multi-game foosball table- These foosball tables are designed with different surfaces that can be slipped onto the table. This way, the same table can be used to play multiple table-top games. The additional games may include table tennis, glide hockey, and chess. Multi-game foosball tables come in stand-alone and table-top versions. 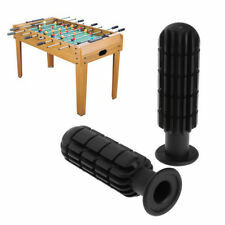 What else should you consider when shopping for foosball tables? First, consider the size of the foosball table. A full-size foosball table measures 56 by 30 inches. This is the ideal size for a competitive game. Next, consider the material used to make the table. Sturdy, high-quality wood is preferred, especially for expert-level games. Lastly, the appearance of the table will depend on your preference. Aesthetic appeal is essential, particularly if you want to place it in your house.